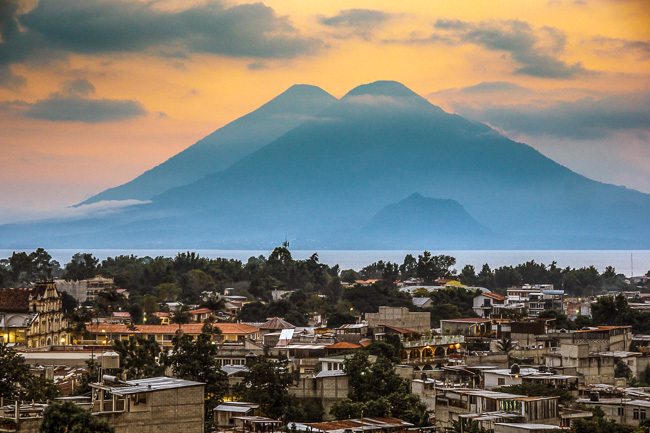 For over a year I had been living in Panajachel watching this Volcano. 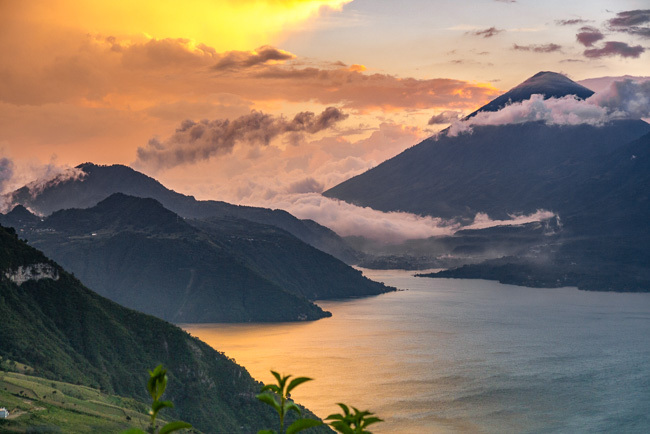 Atitlán’s “mood” had became a part of my daily life. 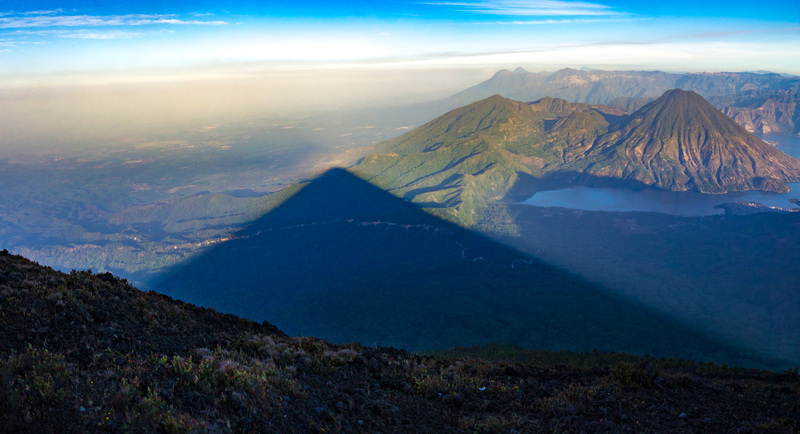 The 11,598′ (3,535 m) behemoth was always there: in the mornings it hovered like an apparition, its face peaking above the humid haze over the waters of the lake. 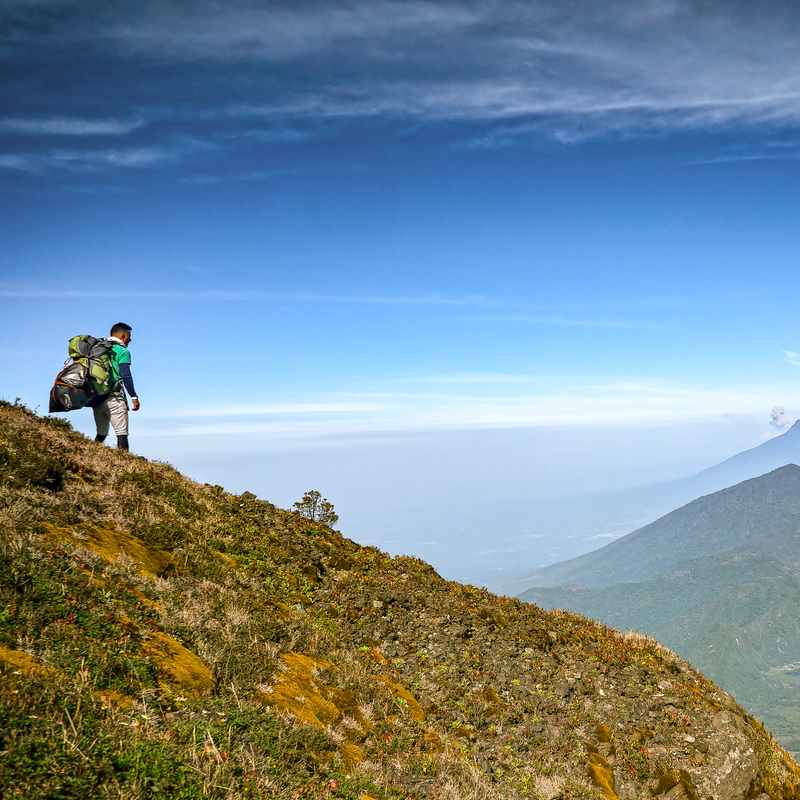 As the day progressed the air would clear and the Volcano would begin to attract lenticular clouds clinging to the summit. 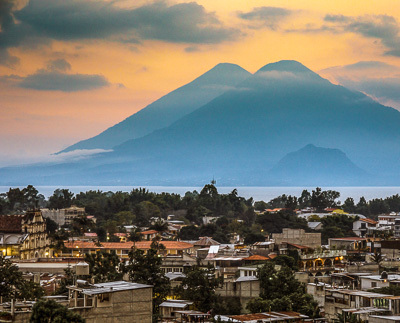 In the rainy season Atitlán became more secluded, hiding in clouds -you could weeks at a time without ever seeing it. 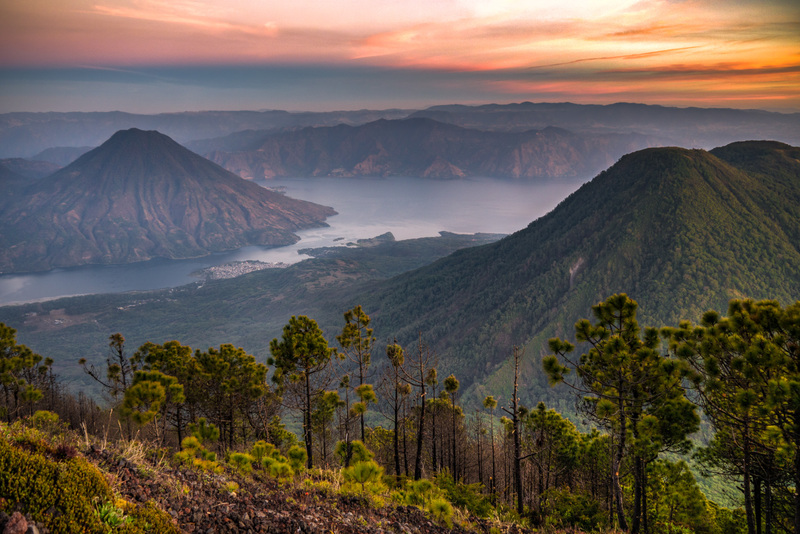 Volcán Atitlán is the largest of three volcanos that surround Lake Atitlán – hence the name. Because if the volcano’s distance position behind neighboring Volcán Tolimán it gives the appearance that the two volcanoes are equal in height – their twin summits to the left joined in a geologic matrimony. 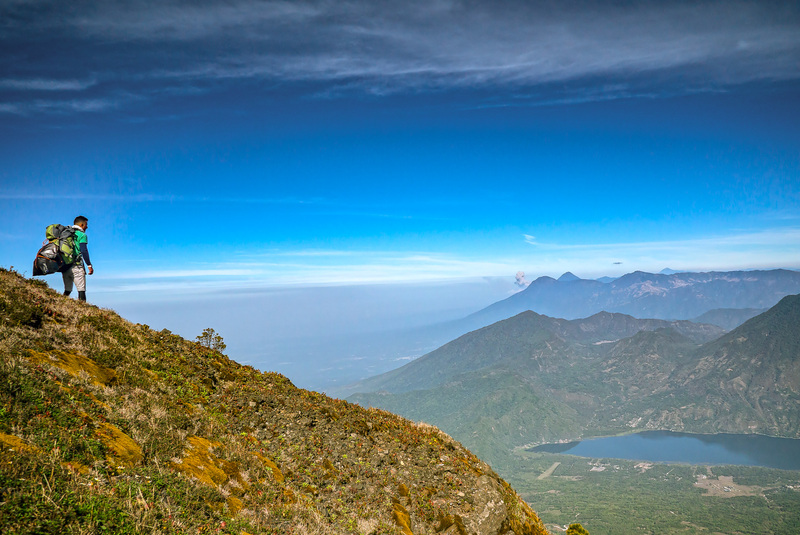 The truth is that Volcán Atitlán is nearly 2000ft taller than its neighbor. 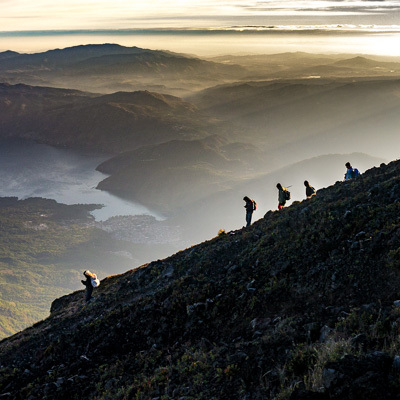 Volcán Atitlán, has an infamous reputation. 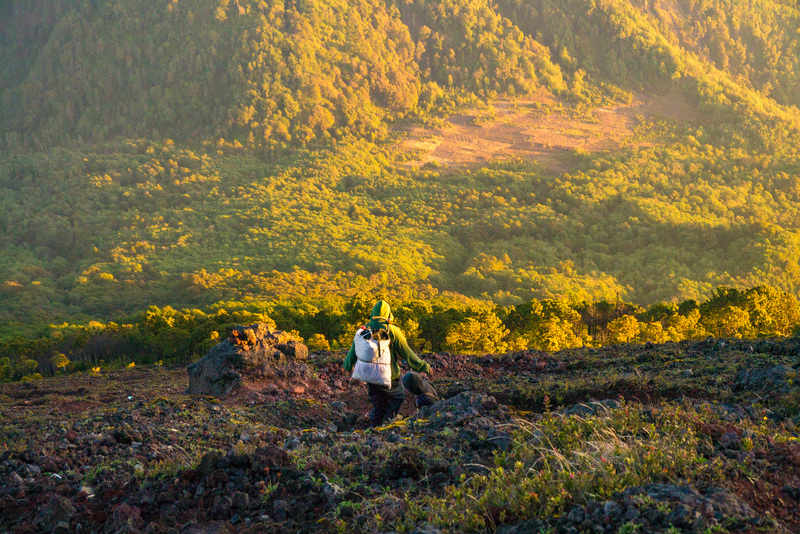 The volcano is remote and seldom visited by foreign tourists. 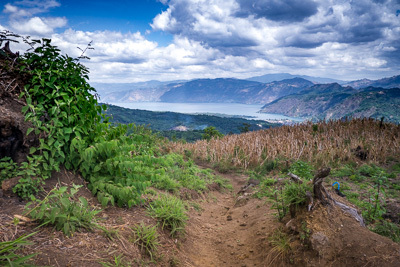 The approach to the base involves navigating a confusing web of finca roads and coffee paths. 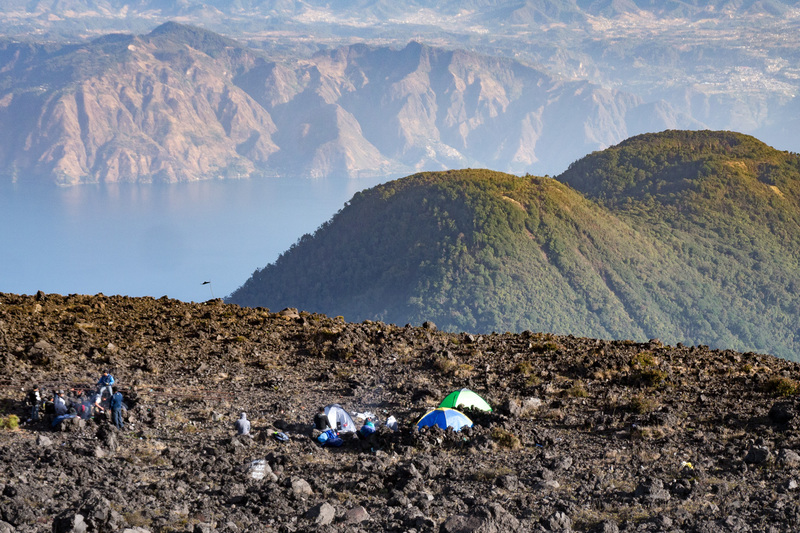 Because of the distance and the elevation involved and most people opt to hike the volcano in two days – camping at or near the summit to catch views early morning before the clouds move in. 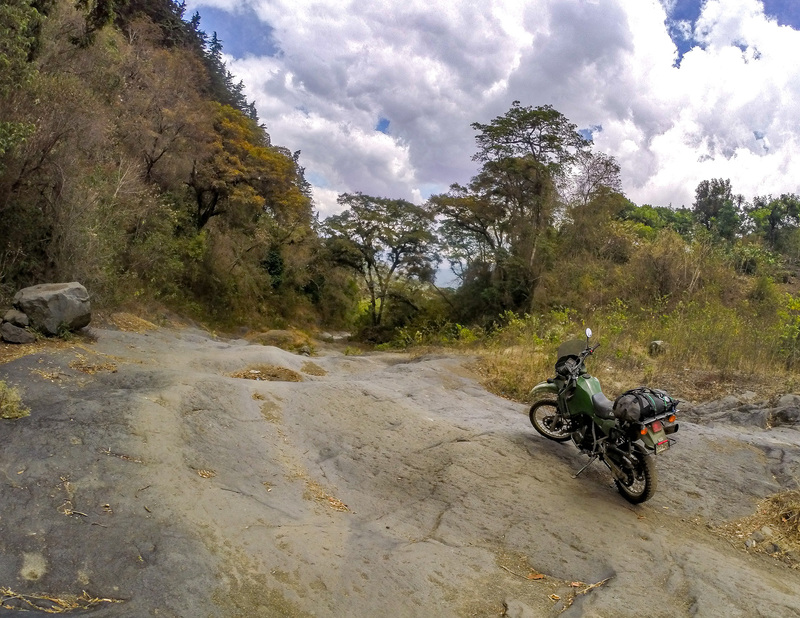 The approach to Volcán Atitlán by motorcycle involved riding on volcanic slickrock. Because I had the motorcycle with me I decided to drive to the Volcáno – I packed up and headed out for a late start – reaching the opposite side of the lake at 4pm. I drove up as far as I could from San Lucas following a finca road which eventually turned to trail – which changed to a dried lava river. 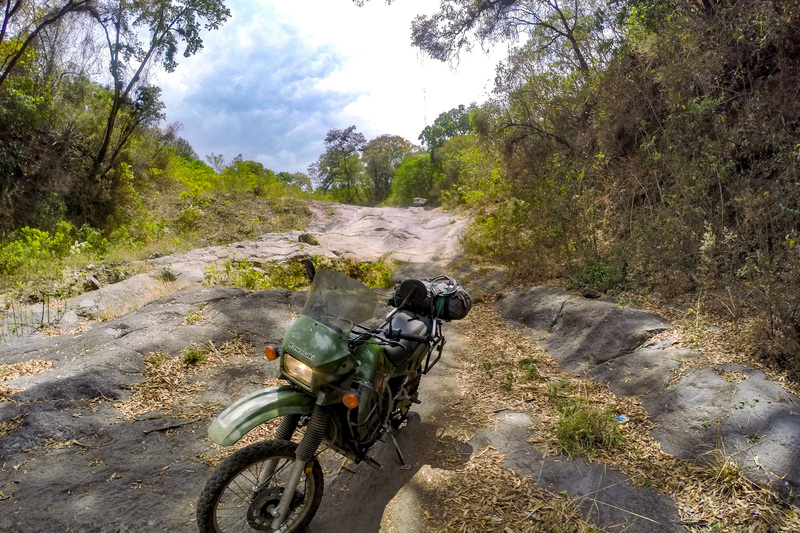 This was the lazy man’s approach – cutting out nearly 10km of walking however I was enthralled to ride the bike on some Lava Slickrock. I hid the bike off the trail and chained it to a tree. – any Mayan with means could cut it but I entrusted my fate to faith. I climbed the trail up through the coffee finca – following a loose Gpx track. 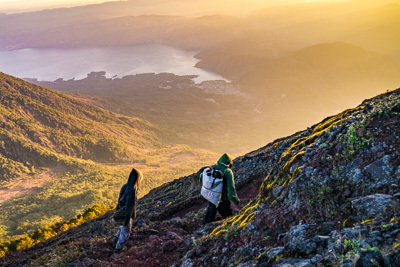 I passed by several campisinos descending the volcano with loads of corn on their back – they all gave enormous smiles and holas as their bodies strained with load. 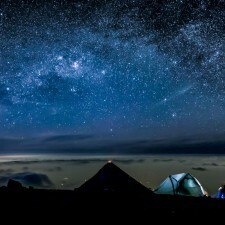 I camped around 11,000ft below the treeline. 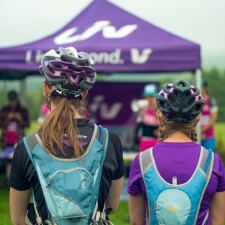 I hadn’t encountered anyone and I bedded down on the only flat place I could find – right in the trail. 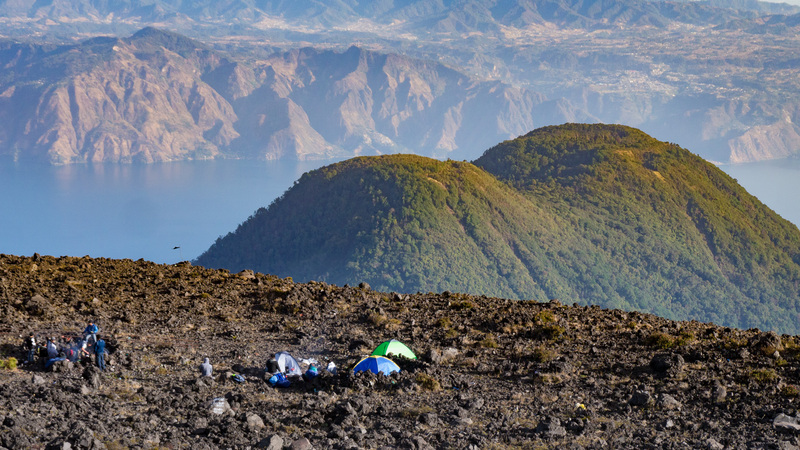 It was the dry season and I carried only a sleeping bag and pad – no tent. I eased in for a night’s sleep pushed away thoughts of insects crawling on my face and set my alarm for 4am the next day. In the morning I made the push and got my first view of the lake above treeline. 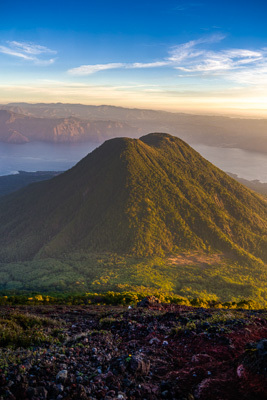 The sun had not yet risen and I strained to reach the top of the summit cone before sunrise. 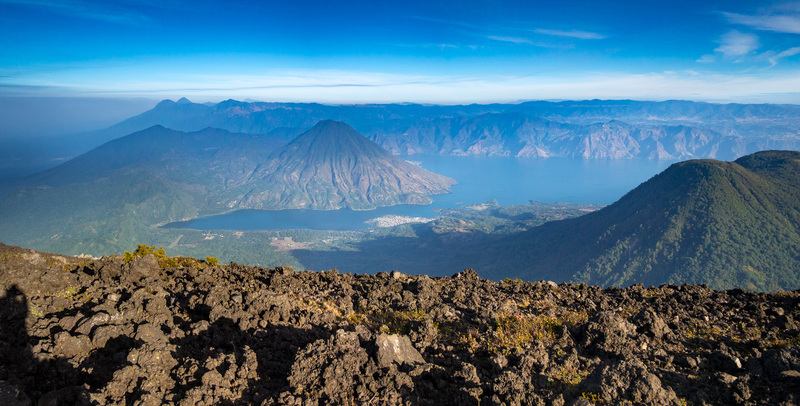 Below was a view of all of Lake Atitlan – the other Volcanoes looked so small from up here! 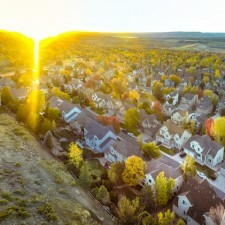 The dark evening colors faded slowly and the light began to shed across the vallies and ridges of the country in deep shadows. I was not alone – at the summit there was a boyscout troop with over 40 kids huddled in groups with stoves preparing breakfast and watching their country explode in vibrant color before them. Volcán Atitlán is that it’s still semi-active. 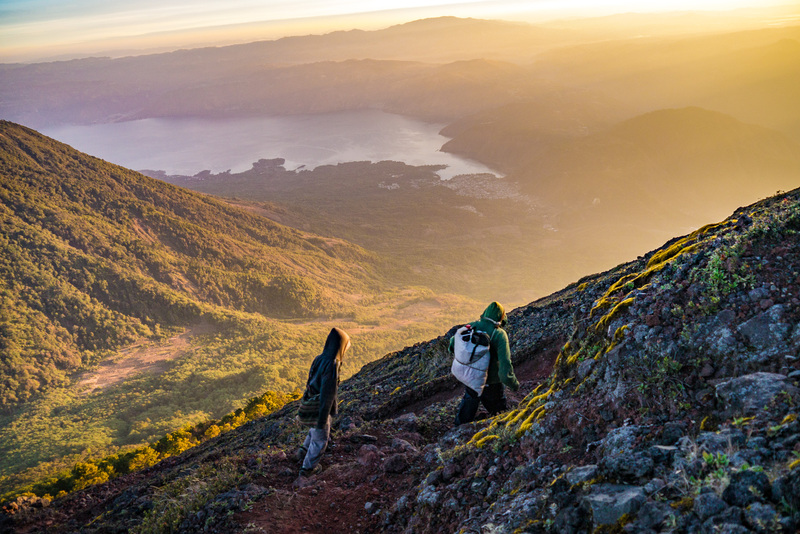 The last eruption was just over 100 years ago. 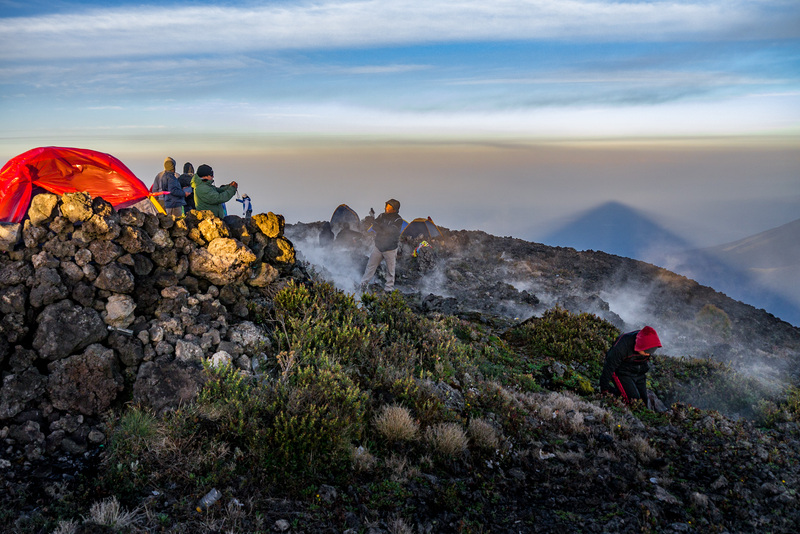 At the summit there are numerous steam vents and the volcanic rocks are rather hot! The steam supports a variety of interesting fauna including bright red and green moss. 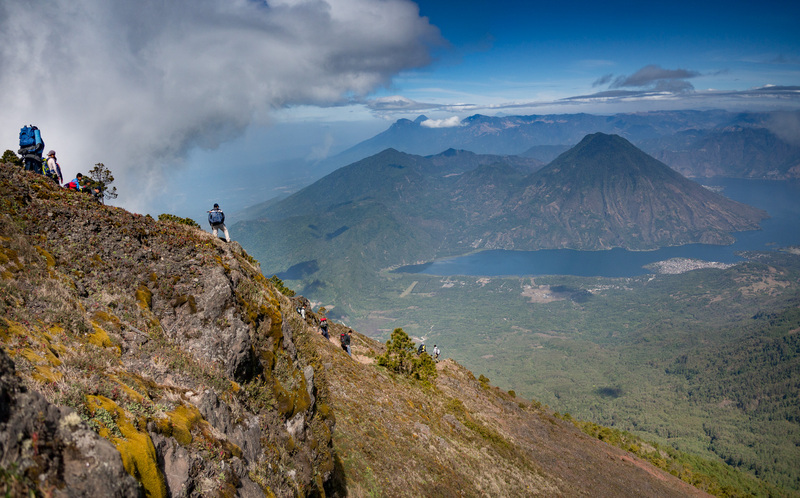 Positioned at the center of the Guatemalan volcanic chain, this 11,600ft volcano affords views of most the country’s twenty nine volcanic peaks from its summit. 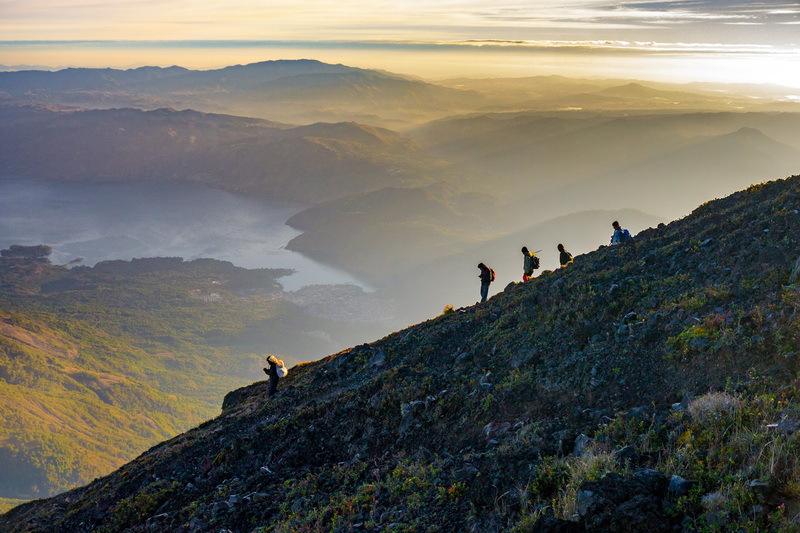 It is always inspiring to see Guatemalans out enjoying their country. A lot of the scouts didn’t have proper backpacks and used simple garbage bags to carry their gear. -and unfortunately the most trashed." 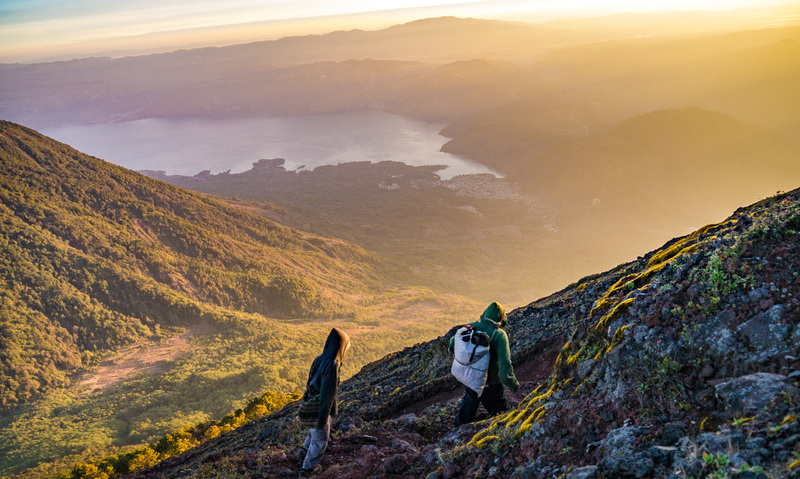 The hiking trail stretches up Volcán Atitlán is a near vertical swath of logging and deforestation – with deep ruts from where large trees have been removed. 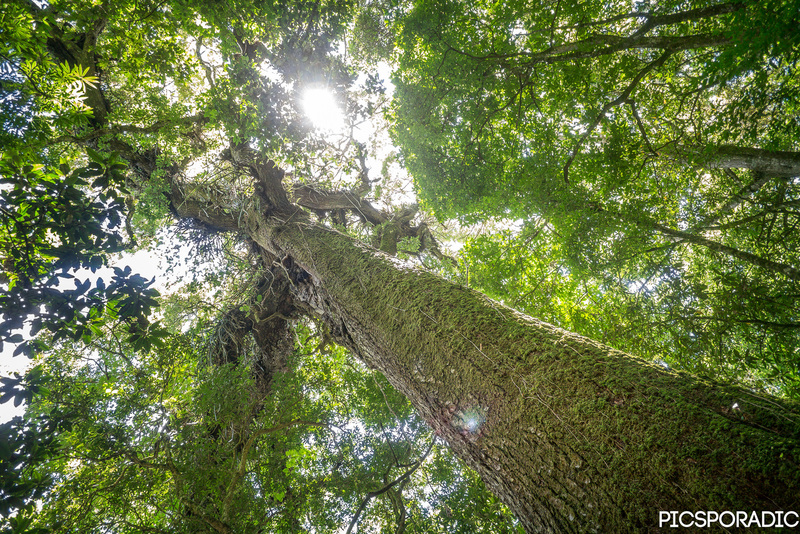 In this beautiful forested country – the forest is becoming ever more rare – with the apatite for wood insatiable even in these “protected” zones. 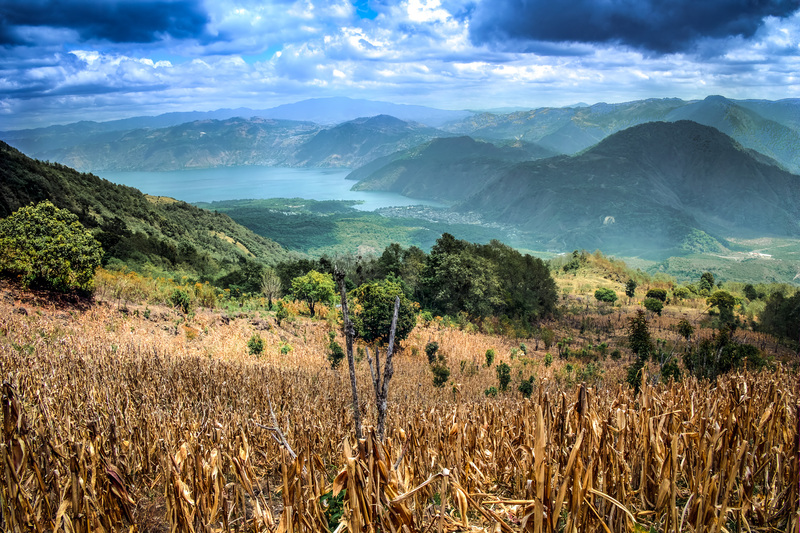 Whether it’s small machete cuts for household cooking, clear cutting for agriculture or harvesting large growth trees for more prosperous exotic sale, Guatemala is feeling the effects of deforestation hard. 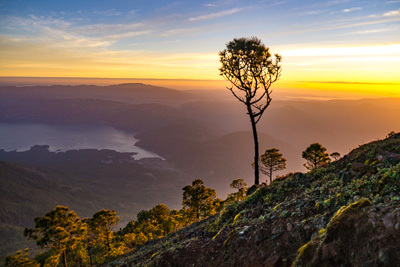 Unfortunately with the exception of a few toursim-centric volcanos – areas like Aitlán are worth more for their natural resources than as natural protected areas. 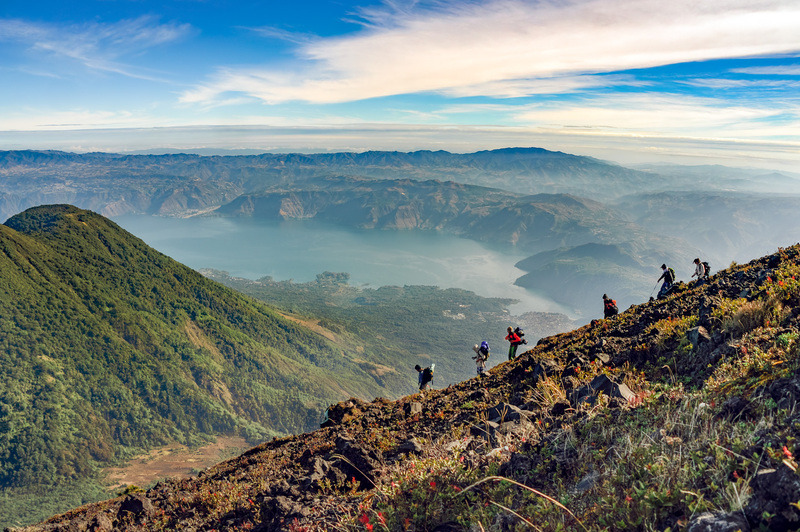 The coastal fogs that for generations have supported dense tropical forests on Volcán Atitlán are also ideal for the growing of Guatemala’s most expensive crop: Coffee. 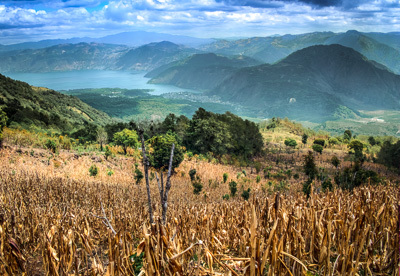 Even “fair trade” coffee has a serious environmental impact in countries like Guatemala. 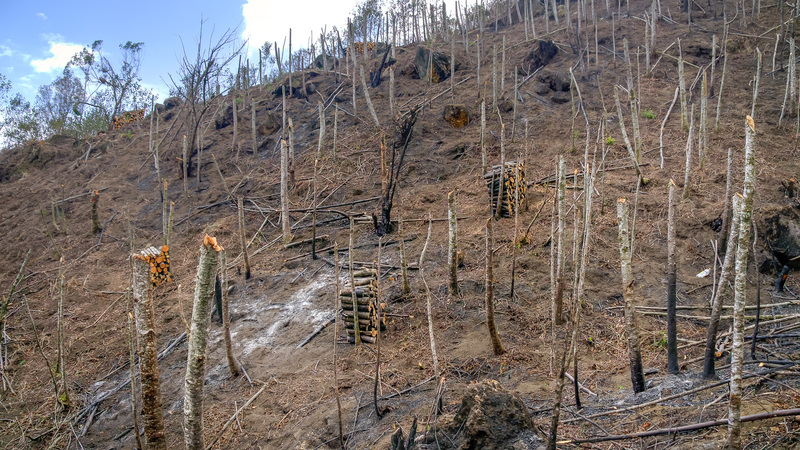 Forests must be leveled and burned to make way for the acres of the golden crop. 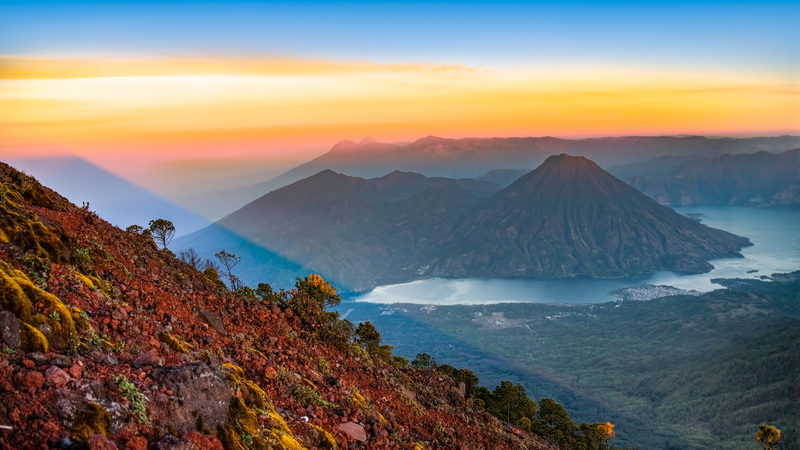 Areas like Volcán Atitlán are extremely rare – in a dry regions of Guatemala these enormous volcanoes host micro-climates that support tropical forest that pull moisture from the air and help promote rainfall. 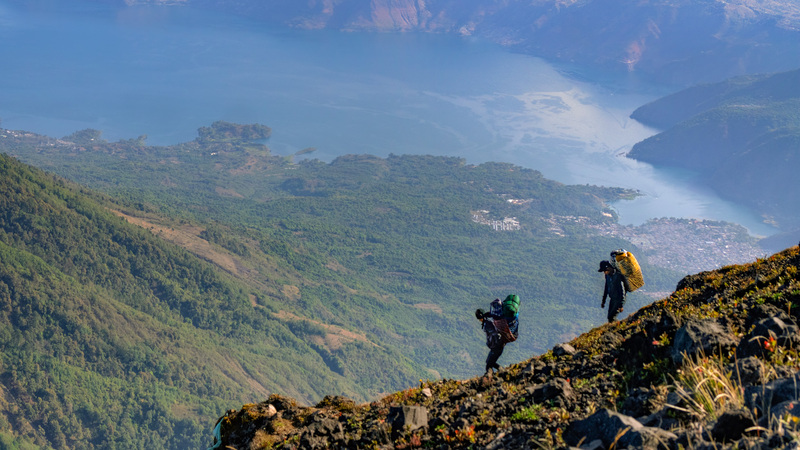 I can only hope that the people of the country come to understand just how special and necessary it is to protect places like Volcán Atitlan or at least put in places sustainable practice before the future renders the land unusable.